Each journal features 128 buff colored blank pages, a durable elastic closure, and a useful clear plastic envelope. The sheets are 130gsm and acid free with a light, toothy surface that accepts pen and ink, pencil, markers and light watercolor washes. 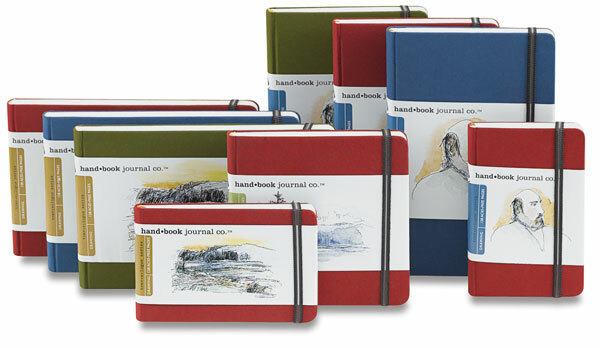 ® Global Art is a registered trademark. Hand Book Journal Co. is a trademark.